In the fall of 1997, the editor of the Rocky Mountain News’ Spotlight Section was browsing the Fall Home Show and was intrigued by a new company. She discovered a service that she had never seen before: a company specializing in basement finishing. After spending some time talking with and researching this company, she decided to write an article. Two weeks after discovering this new company (and three days before its phones had been connected) the Rocky Mountain News published a front-page article featuring this exciting new organization called Finished Basement Company! 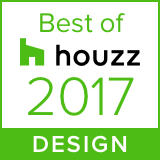 The BEST basement design in the industry (our designers’ many awards confirm this). Designers with broad experience to create the basement perfect for you. Detailed 3D plans, allowing you to visually “walk through” your space before you build. Design techniques that turn basement sore spots into highlights. Smart style that maximizes return if you sell your home. Our projects that start and finish on time. We keep your home secure and clean during construction. Our project managers handle everything to turn your design into a dream come true.